Get outdoors when you didn't think possible with an all terrain knee walker. The all terrain knee walker with brakes and adjustable handle is a product designed to be a pain free alternative to crutches. 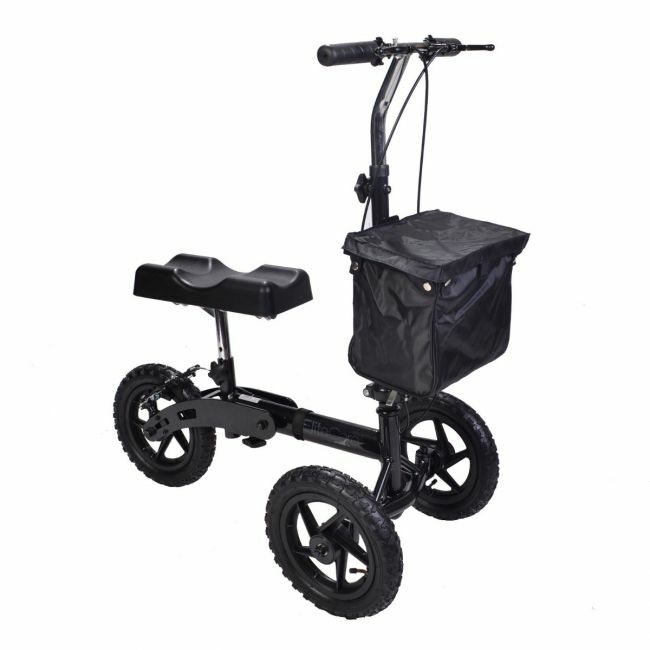 Its large tyres make it easier to deal with challenging terrain for users recovering from a foot injury. The knee walker is also suitable for some amputees. It is far easier to operate than crutches, requires less effort and reduces risk of falling.